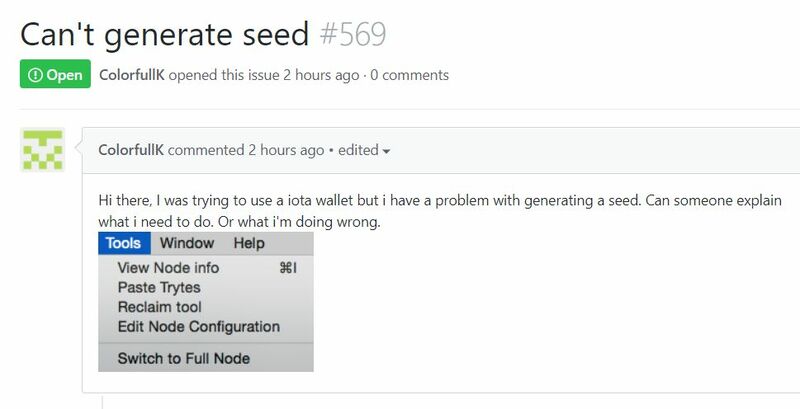 This is a java program written to provide IOTA users a secure way to generate a SEED. It uses SecureRandom as explained here from Oracle’s Java Doc. This class provides a cryptographically strong random number generator (RNG).A cryptographically strong random number minimally complies with the statistical random number generator tests specified in FIPS 140-2, Security Requirements for Cryptographic Modules, section 4.9.1. Additionally, SecureRandom must produce non-deterministic output. Therefore any seed material passed to a SecureRandom object must be unpredictable, and all SecureRandom output sequences must be cryptographically strong, as described in RFC 1750: Randomness Recommendations for Security.